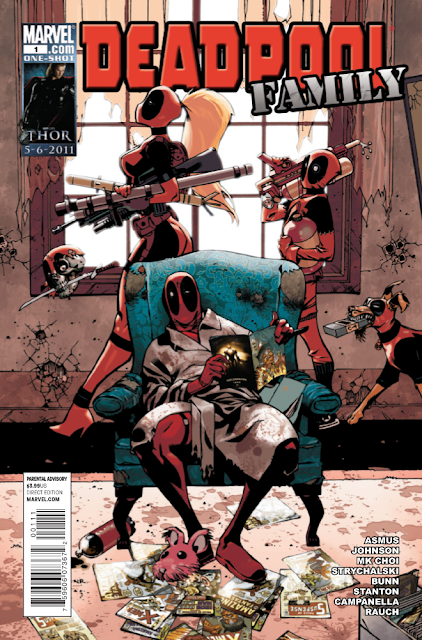 The Deadpool Family one-shot comes out tomorrow April 6, 2011. A preview of this issue can be seen here. Super-important, double-sized one-shot. They’re back – and they’re up to no good – in three stories that will forever change the way you look at yourself and the world around you and break every funny bone in your body. 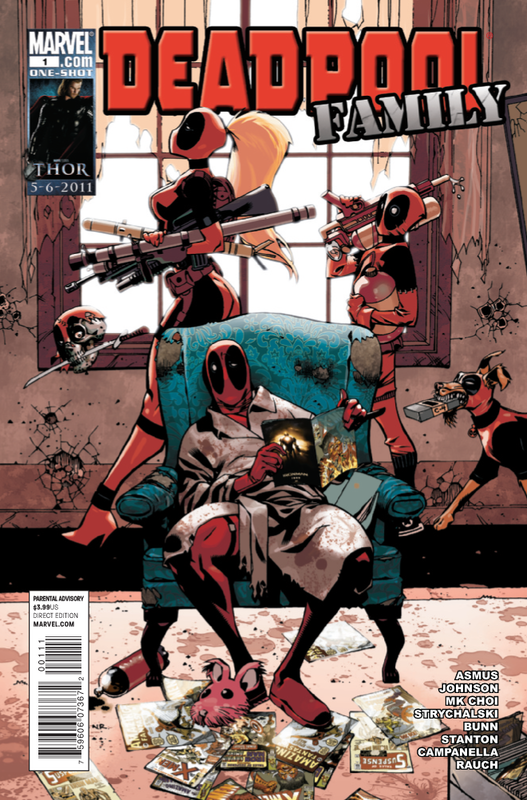 CHILL as Lady Deadpool and Headpool undergoe invasive analysis to ferret out the root cause of their majorly abusive frenemieship in “Head Shrunk and Disorderly”…THRILL as Kidpool and Dogpool embark on a 100-ton mechanized joy ride in "Show and Raise Hell”…and uhm...GET ILL as Dogpool rampages from makes a brand-new archenemy in "Uncertainty Princi-Pals"! Enter: Voidmutt!